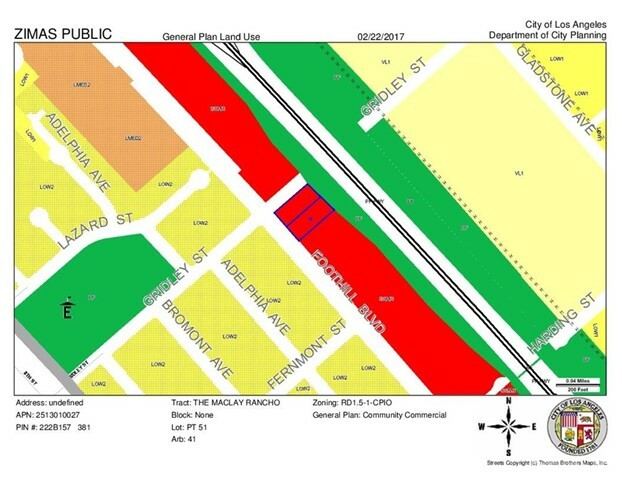 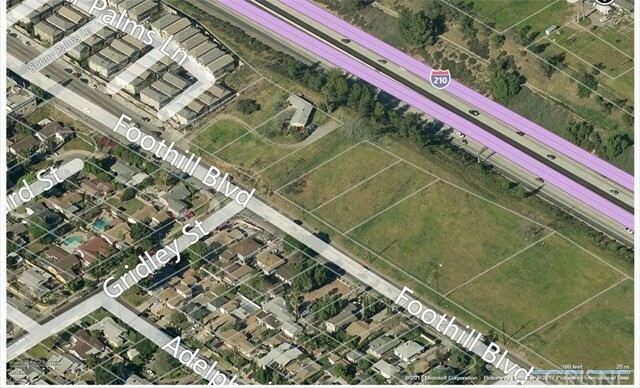 TWO ZONED C2 LOTS (APN 2513-010-027 & -041), TO BE SOLD TOGETHER FOR A TOTAL OF 35,313 SF PER TAX ROLLS. 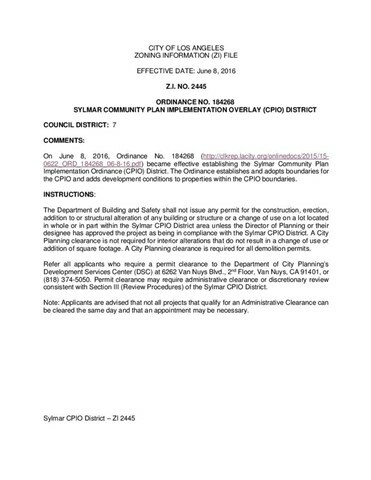 THE CURRENT GENERAL PLAN LAND USE IS "COMMUNITY COMMERCIAL", C2-CPIO, PER THE SYLMAR COMMUNITY PLAN IMPLEMENTATION OVERLAY (CPIO) DISTRICT. 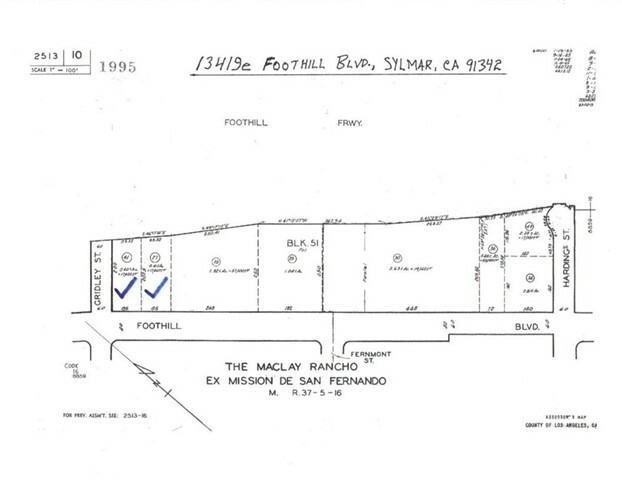 SEE ZONING INFORMATION FILE: SYLMAR CPIO DISTRICT--ZI 2445, EFFECTIVE 6/8/2016. 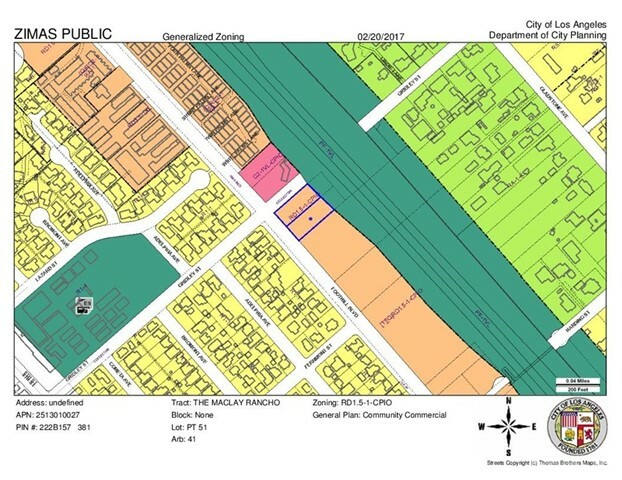 THIS LAND IS LOCATED IN COMMERCIAL ONLY SUBAREA "B" OF THE COMMERCIAL DISTRICT OF THE CPIO, IN WHICH RESIDENTIAL USES, INCLUDING LIVE-WORK UNITS, ARE PROHIBITED, AS ARE AUTO RELATED USES. 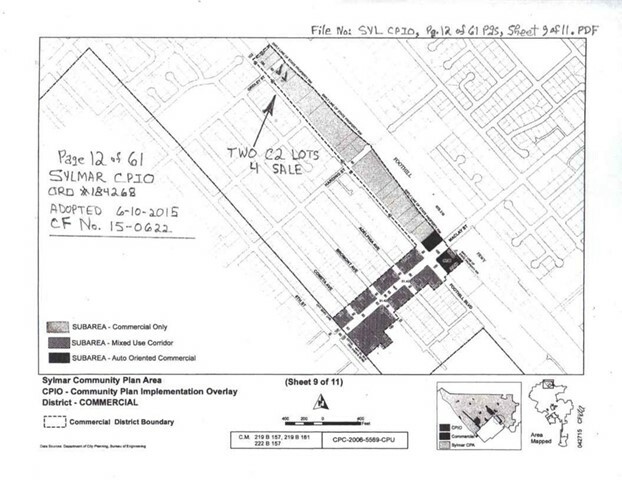 THE "GENERALIZED" PLAN ZONING IS: RD1.5-1-CPIO. 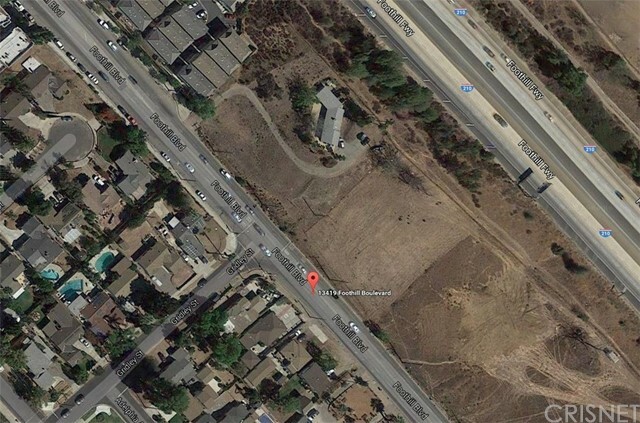 BUYER TO RELY SOLELY ON OWN DUE DILIGENCE AS TO ZONING, DEVELOPMENT FEASIBILITY, AND ALLOWABLE LAND USE.